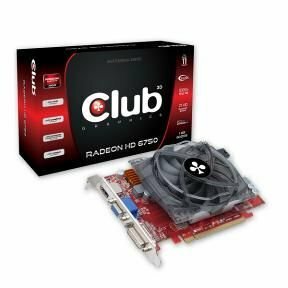 Club 3D B.V. announces the introduction of the Radeon HD 6750 video card based on the Juniper LE chipset, AMD’ second generation DirectX 11 cards. Play the latest games in amazing detail with Club 3D Radeon™ HD 6750 Graphics. With winning performance, advanced technologies and full second generation DirectX® 11 support, you’re ready to dominate the competition. Now with AMD APP acceleration you can enable smoother video playback, improve your video image quality and enhance your applications performance.